​Jose Mourinho has spoken about Mohamed Salah's infamously brief time at Chelsea, while insisting that he was not the one who sanctioned the now Liverpool forward's exit from Stamford Bridge. Salah joined Mourinho's Chelsea in January 2014 for £11m, but struggled to make an impact on the first team and was loaned out to Fiorentina the following summer. The Egyptian thrived in Serie A and then famously returned to England to haunt Chelsea fans in 2017/18, scoring a record 32 goals in a 38-game Premier League season for Liverpool. Mourinho has often been blamed for his handling of Salah, with some claiming the Portuguese never fancied the forward and ultimately allowed him to leave Chelsea without fulfilling his potential. However, ​speaking to beIN Sports in his first TV appearance since his sacking as Manchester United manager, Mourinho rejected those claims, claiming that he 'fell in love' with Salah after the forward impressed in the Europa League and Champions League in fixtures against the Blues. As quoted by ​ESPN, Mourinho said: “I played against Basel in the Champions League. Salah was a kid at Basel. And I fell in love with that kid. I bought the kid. In 2013, while with Basel, ​Salah scored three goals in four appearances against ​Chelsea. However, after Mourinho and Chelsea proceeded to bring him to Stamford Bridge, he never really found his feet and was loaned out twice before being sold to Roma in 2016. Regarding Salah's exit, Mourinho insisted it was the club who wanted to sell him, saying: “People try to identify me as the coach that sold Salah. I am the coach that bought Salah. It’s completely the wrong idea. “We decided to put him on loan, in a culture I knew well- Italy. A good place to play. 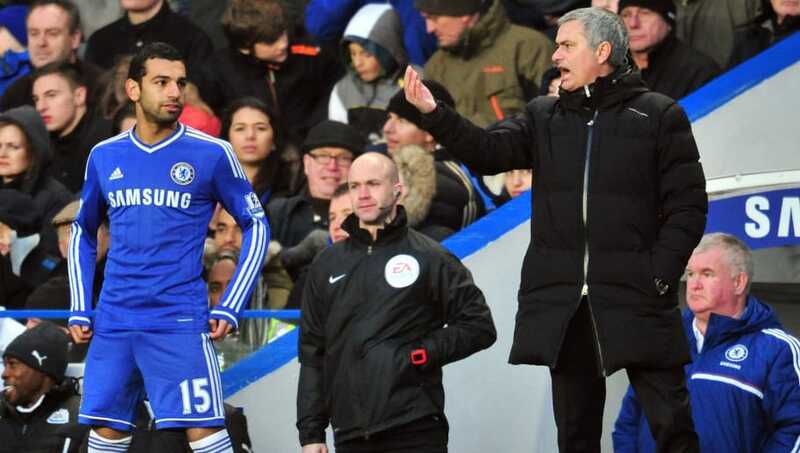 Mourinho admitted that Salah struggled to adapt to life in London, but claimed that he was willing to work on him. After winning the Premier League Golden Boot, as well as PFA and FWA Writers' Player of the Year, in 2017/18, Salah is currently top of the scoring charts again this season with 14 strikes in 22 outings.